Tap on your icon at the top left corner when you are on the main page fo the app or the menu button when you are in a particular event. Tap on the bell button near your profile pic and view the notifications. 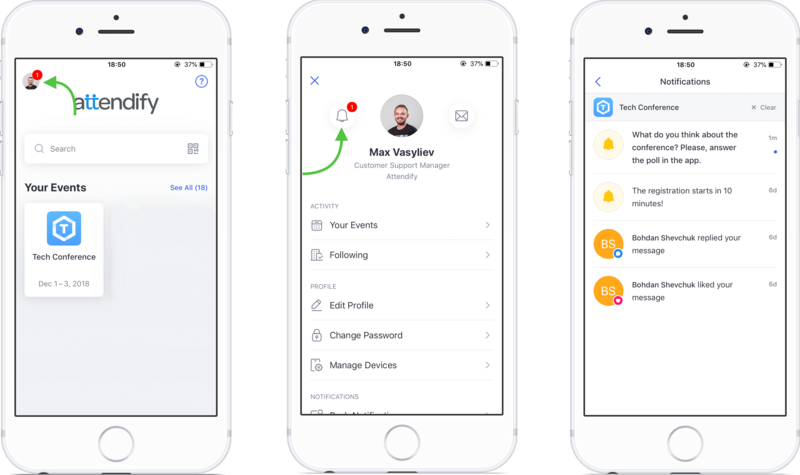 If you are an event organizer, check this article for the info on how to send push notifications. Didn't find the answer to your question? Feel free to chat in on any attendify.com page or send an email to support@attendify.com.